Pick up a 10 session package of morning group Zumba! or Core Strength Fitness classes, at only $5 per class, and pay for only 9. That’s right! Your 10-class is free! Use promo code Summer10 at checkout. Are your kids getting ready to go off to college? Make sure they are ready to be out on their own by signing them up for a College Safety Workshop! 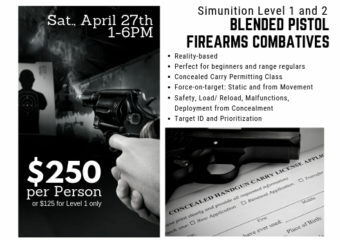 Gather up their friends and make a group reservation (minimum of 4 participants required to schedule a workshop) ASSERT Empowerment and Self Defense 4-hour workshop for a special price of $40 per person (regular price $50 per person). Call or drop by to book your workshop and remember to mention this summer special. Have you ever dreamed of being Bruce Lee or have you been looking for a fun, family activity? Maybe it’s time to try Martial Arts! Get an All-Access Membership (attend unlimited classes of all/ any art we offer) for the price of a one art membership, from sign-up date through August 31st, 2014), plus, get 50% your first month (regular price $195 per month per member). *One-time registration fee applies ($50 for one person, $75 for two, and $100 for three or more). Use promo code SummerMA at checkout. Are YOU Cut Out for Martial Arts?